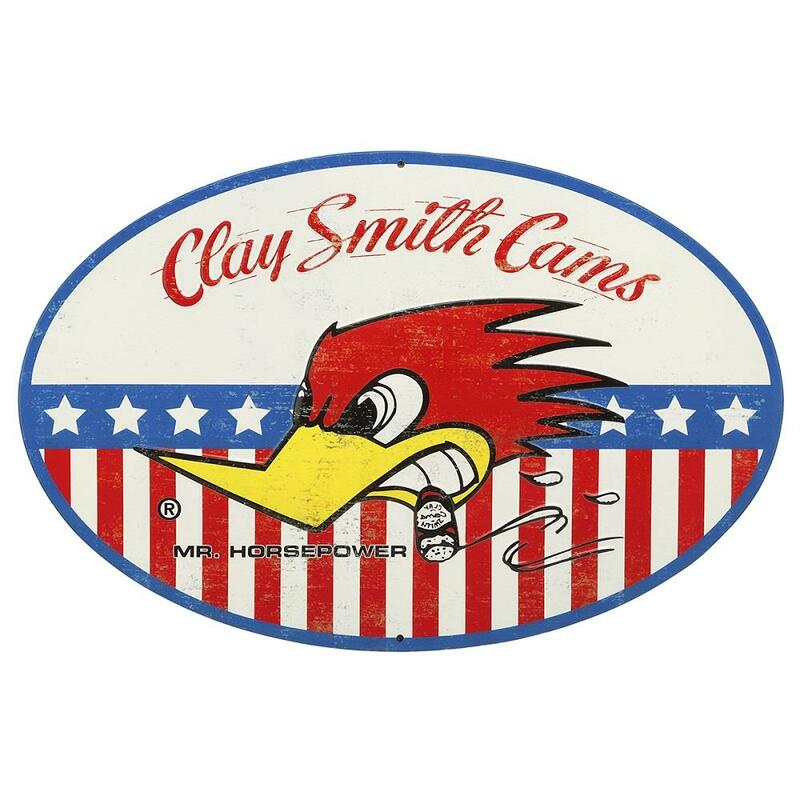 The Clay Smith Cams Mr Horsepower Stamped Embossed Metal Sign measures 16" x 12.5" and weighs in at 1 pound. A quality, patriotic sign to add to your shop wall. Includes pre-drilled mounting holes for easy wall hanging.